Two University of Arizona Press books were named finalists today in the Foreword Reviews 2018 Indies Book of the Year Awards. 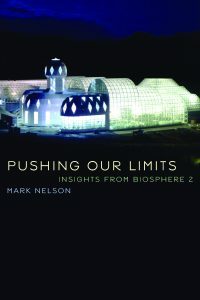 Mark Nelson’s Pushing Our Limits is a finalist in the Ecology & Environment category. One of the eight crew members locked in Biosphere 2 during its first closure experiment, Mark Nelson offers a compelling insider’s view of the dramatic story behind the mini-world. Nelson clears up common misconceptions about the 1991–1993 closure experiment as he presents the goals and results of the experiment and the implications of the project for today’s global environmental challenges and for reconnecting people to a healthy relationship with nature. 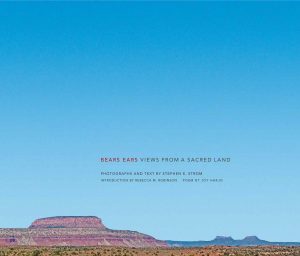 Stephen Strom’s Bears Ears: Views from a Sacred Land was named a finalist in the Regional Books category. This book captures the singular beauty of Bears Ears country in all seasons, its textural subtleties portrayed alongside the drama of expansive landscapes and skies, deep canyons, spires, and towering mesas. To photographer Stephen E. Strom’s sensitive eyes, a scrub oak on a hillside or a pattern in windswept sand is as essential to capturing the spirit of the landscape as the region’s most iconic vistas. Years from now, this book may serve as either a celebration of the foresight of visionary leaders or as an elegy for what was lost. According to a Foreword Reviews press release, more than 2,000 entries spread across 56 genres were submitted for consideration. Finalists were determined by Foreword’s editorial team. Winners are now being decided by a panel of librarian and bookseller judges from across the country. 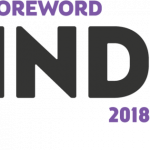 Winners in each genre—along with Editor’s Choice Prize winners and Foreword’s Independent Publisher of the Year—will be announced June 14, 2019.